I adore reading new books. Horror, suspense, YA, the classics. The list goes on and on. Jodi Picoult is one of my favorite authors. This is one of my top two favorite books that I've read so far this year. I raved so much about it on my bookstagram I think my followers got super tired of me for it. Lol. Not only is the game playing with Scarlett's mind, but it played with mine as well. "Remember that it's all a game." But it's so easy to forget. There is so much action and drama packed into this book. I judged this book by its cover and I was so happy it lived up to its impact it had on me. The magical way Garber has of writing stole my heart and I don't think I'll be getting it back anytime soon. Can I have the second book now? Even though the first one isn't even out yet? Can I have the movie? I want it all, right now. It's very hard for an author to be able to illicit that sort of craving from me, but Garber managed it. 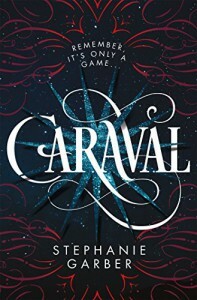 The way she set up the magical Caraval was amazing, the descriptions were perfection. It all played out in my head so well. I loved the characters, even though at times they were extremely frustrating, as with all the books I've ever read, so that's expected. It makes the story even better it seems like. This book has it all: magic, romance, heartbreak, death, sadness, happiness, mystery, suspense. The list goes on and on. As soon as I opened this book, I knew it was going to be super entertaining to read. Brooke Allen is a wonderful illustrator! All of the drawings absolutely cracked me up. Imagine a boy riding an alligator back to where it came from after he's lasso'd it with some bed sheets from a hotel. Pretty funny in your head, right? It's even better to see. I'd show some of the artwork but since it said that the art may not be final, I'm going to exclude it for now. P.T. Wilkie is hilarious. Above all else, he's imaginative. Spinning stories much to his classmates' delight, even some of the teachers, (except for grumpy old Mr. Frumpkes) and getting himself out of trouble on multiple occasions. The book does have some sad parts that deal with P.T. Wilkie's father, but it's made up for in non-stop funny shennanigans that him and his friend new friend Gloria get into. We follow P.T., Gloria, and occasionally P.T. 's grandpa on hilarious antics in order to save their beloved motel from the hands of some horrid businessmen. Before they know it, they're caught up in a years old mystery surrounding a bank heist two robbers had pulled off. Now, the robbers are out of jail and snooping around the motel looking for their loot. P.T. 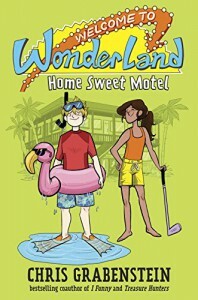 and Gloria must find the jewels before they do and before Spring Break is over to keep the Wonderland Motel up and running and out of the grasp of people who don't deserve the motel. I finished this book two days ago, and it's still in my head because it was such a "wow factor" book. Jack and Grace seem to have the perfect lives. Everyone with a mind knows there's no such thing as perfect. So why did only one person in this book pick up on the fact that something might be wrong with their relationship? If I see a relationship that is way too clingy, my instincts kick in and I automatically wonder if something is wrong or it they're just super in love. Thankfully it's always been the latter. To say the least, this book made me extremely uncomfortable. I love books that can elicit that sort of emotion in me. The book jumps in between the past and the present that quickly builds up suspense in the most perfect, hand-wringing way. This is the sort of book that makes you say "I need more" and won't let you stop reading it until you've finished the very last line. By the time you get to the end of the book, you'll feel so mentally and emotionally drained you'll have to pick up a happy-go-lucky book just to feel some sort of happiness again. DISCLAIMER: I received this copy in exchange for an honest review. All opinions herein are of my own and are not swayed by any factors. DISCLAIMER: I received this book in exchange for an honest review. All opinions herein are of my own. Release date: November 11, 2015. The unthinkable has happened. In a world where meat is non-existent, people have turned to religion to help save them from what they believe to be the end of the world. 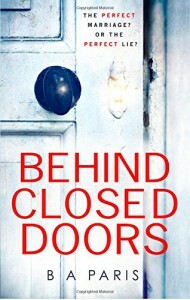 Agent Howard and his partner Linda to go undercover to a compound where a man who calls himself by the name of "God" is claiming he has found a way to serve his followers meat. In such a short novella, Agent Howard, Linda, and "God" are well-thought out characters. Linda and "God" have background stories that are summed up in a few paragraphs and they are told perfectly. "God" is a very calculating character, and has so much more inside of him than what is presented in the story. He is cold, unpredictable, yet even I was drawn in by him. His story comes with a ton of surprises as well. This novella has horror, passion, and exciting turns of events you'll be captivated by. By the end, you'll be left with questions and wanting even more. This book is perfect for readers who like shorter novels, but still appreciate amazing writing. The fact that this is a novella doesn't mean it doesn't pack the punch a longer book does. 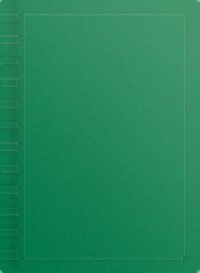 I found myself flinching at the gore found within its 120 pages and was scared numb by the imagery Moses formed inside my mind with his writing. This is the first book I've ever picked up by Stevens and I was not disappointed at all. The story is told through each character's perception of what happened all those years ago. 11 years have passed, and Lindsey Nash suspects that her ex-husband has come back to punish her after doing all that time in prison. He claims that he has changed (like every abuser does), but has he really? She thinks not. After all, people don't really change at their core, right? A part in the book that really stuck out to me was when Lindsey's daughter was younger, after her husband comes home drunk one night and knocks her over onto the coffee table, her daughter begins to make excuses for him, that young. It really goes to show how abuse can become so normal after awhile it begins to not only affect you, but everything else in your life. One of the other parts I really dislike about this book is the fact that Sophie, Lindsey's daughter goes behind her mother's back to write letters and even go as far as meeting up with her father, and lies to her mother about it. She is aware of how scared her mother is of her father, but she completely disregards it as if Lindsey should just "get over" the fact that he abused her. I do have to put myself in Sophie's shoes, though. She grew up without a father because of his alcoholism and the twisted events leading up to his arrest. Of course she's going to wonder why alcohol was more important than staying and being a good father and husband to his family. Even though she doesn't understand the emotional toll that abuse can take on someone, she has a right to wonder about her father regardless of the things that he has done in the past. Another issue that I have with this genre is the abuse of animals. I've read two other books with the same subject matter and they all three have something to do with animals being mistreated, which hurts my soul a little more than hearing about the abuse of another human being. I have no idea what it is with these authors and animal abuse, but it's killing me! ALSO, the twist in the book took me by surprise. Every time I thought I knew what the hell was going on, I was so terribly wrong. It was a literal jaw-dropping twist that I had no idea was coming. Kudos to Stevens for being able to actually leave me slack-jawed! 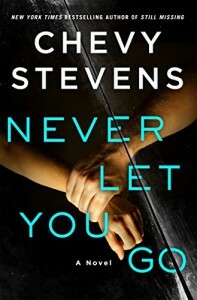 Stevens can create an immensely immersive story that leaves you turning page after page. I absolutely refused to turn it down. I needed to get to the very bottom of what was happening and nothing was going to stop me from finishing this book. Although the book does deal with a hard topic like abuse, and it made me cringe at times, and other times made me blindingly angry, I got through it. DISCLAIMER: I received this book in exchange for an honest review. This does not sway my opinions in any way whatsoever. I’m not usually one to like e-books of any format, so taking a dive into this was a great feat for me. I usually wouldn’t have, but after reading the synopsis I absolutely had to. I’m a sap for short-story collections within books, so of course I decided to download and review this one. This book does not let you down, I promise. I loved all of the stories throughout out it. “ Plunge deep into darkness with 28 terrifying tales. Explore heartache, happiness, and horror in this collection of short stories by Mark Tullius, the author of 25 Perfect Days, named one of IndieReader’s Best Indie Books for 2013. Do not read if you’re easily disturbed, don’t like foul language, or are triggered by scenes of violence. This is a story of consequences. It has your typical guy jerk who seems to have no conscious at all and then over time, gets what he deserves. It’s a fast paced read, and has perfect wording to imagine the horror inside your head. I have to admit I shuddered a few times reading some of the more descriptive paragraphs. I loved every minute of it. This story starts out with an unfortunate man who’s had a very long day. Once he stumbles into the wrong place though, it’s going to get much, much worse. High school kids have a way of pinning one reputation on you, and Tyler’s unfortunate reputation is “Psycho.” A story of just how much love can make you insane for a person and how no matter what, you can still be on their side. This story starts out with a very confused man searching for his wife. Things escalate over time until the big reveal about the man and a very screwed up ending. A mother is trying to keep her deadbeat boyfriend around and in turn ignoring her baby boy. It takes a hilarious turn in a Chucky sort of way after a night of “partying” for the mother. This story alone will make you not want to have any children. There are a ton more stories, but those are some of my favorites. Read and tell me which ones are yours!